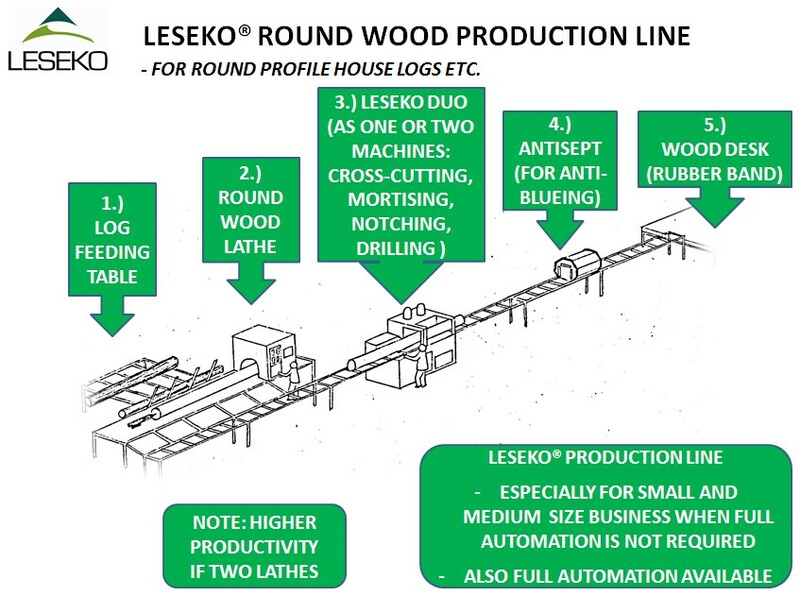 LESEKO® production line consists of machines for manufacturing of house logs of round profile. Our semi-automatic machines are an efficient solution for small and medium size business where full automation is not required. A complete line can be seen operating in our exhibition and demonstration hall in Loppi, 70 km from Helsinki, Finland. There are a Leseko log table, round log lathe Leseko Grand, Leseko DUO machine (for cross-cutting/mortising/notching/drilling machine) and a tunnel spraying machine Leseko Antiseptic for anti-blueing treatment. Training is offered to all customers purchasing our machines.